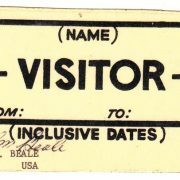 Wartime issued Military Assistance Command Vietnam Studies and Observations Group (MAC V SOG), House 10 Visitors Pass. 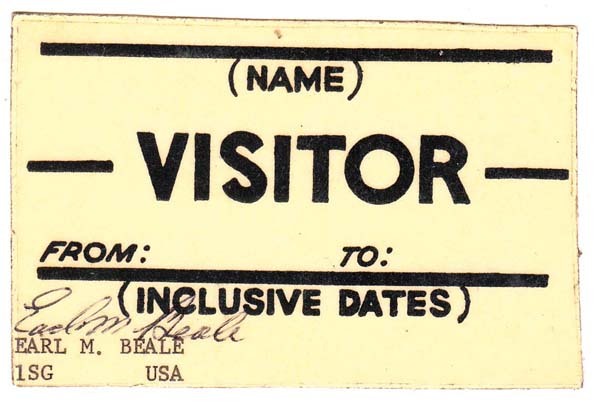 The laminated card has the address of the compound stamped on the reverse. House 10 was the MAC V SOG safe house located in Saigon. Personnel assigned to the unit were housed at the facility during in processing, briefing SOG Headquarters and during in country Rest and Recuperation (R&R).